I'm always designing whether at work or on my own time. Take a look at some of the things I've created. 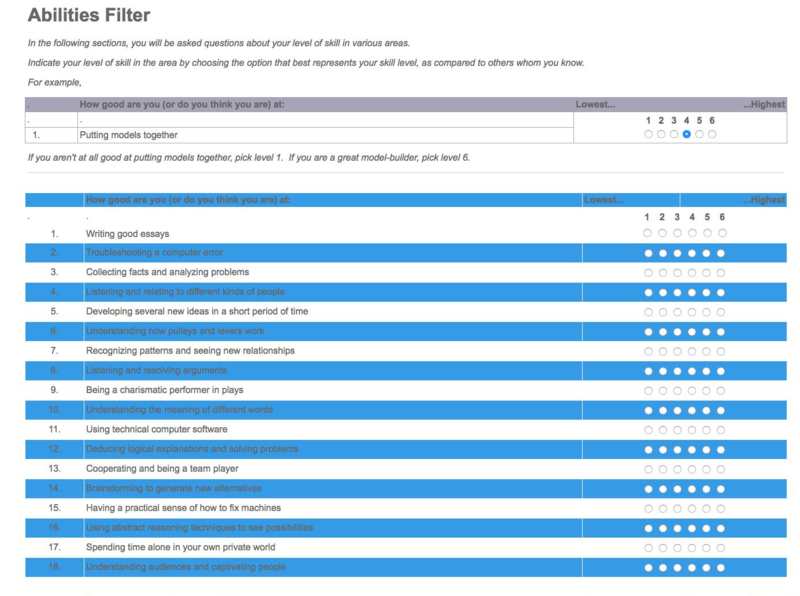 I worked with the client The Whether and led a team of two designers and two developers to revamp a personality to career matching survey experience. Constraint: Survey questions and using the 1 through 5 numeric answering scale could not be changed. Have the user focus on each question one at a time rather than barrage them with all questions at once. 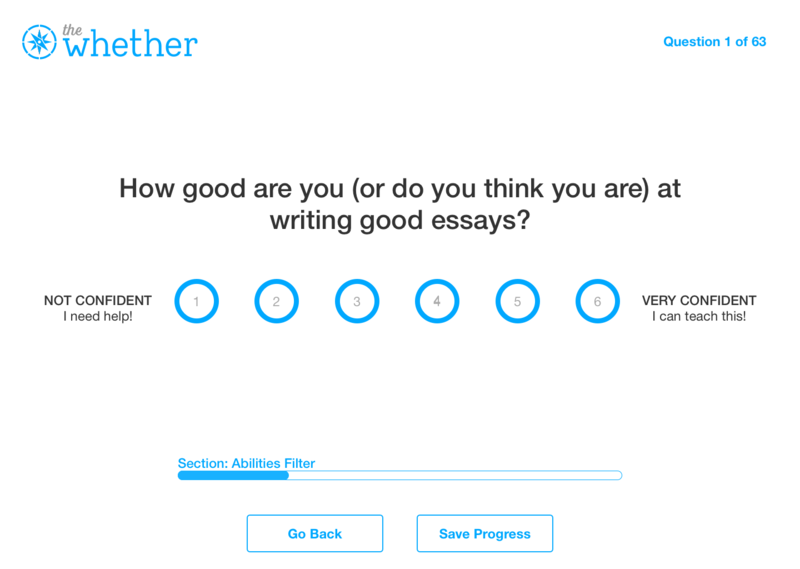 Give a progress indicator and title of the section to give a sense of where the user is. Allow for the user to save their progress so they can resume anytime (since it's a ridiculously long survey). Give more context to the scale of 1 to 5 so the user can better identify where they stand. 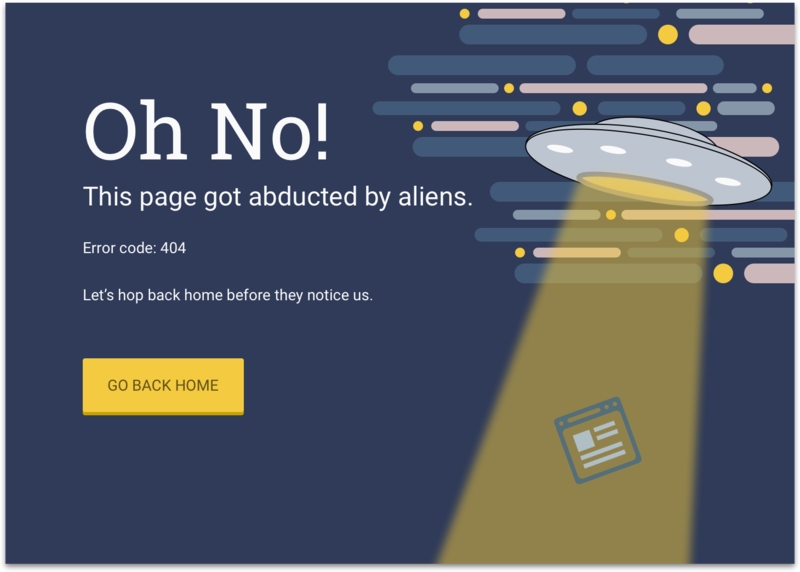 404 Pages can disrupt an experience, but a little fun and imagination helps ease the frustration of running into one and get the user back on course. 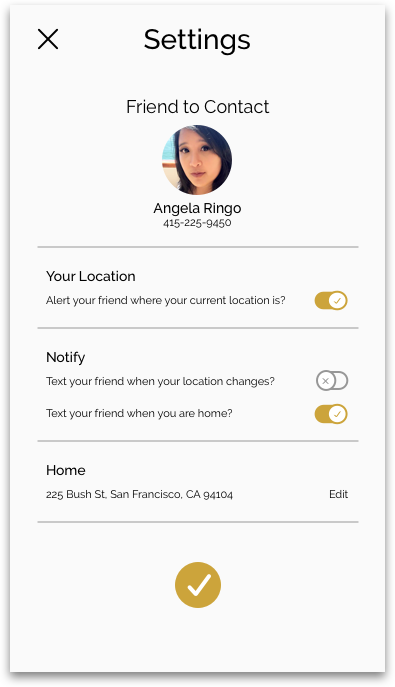 Settings page for an app that acts as a buddy alert system. I added the check marks and x to the toggles to better signify whether the setting is "on" or "off". Icon designs for a fictitious app meant to induce warm fuzzy feelings. I used this challenge to play around with vectors and shapes. 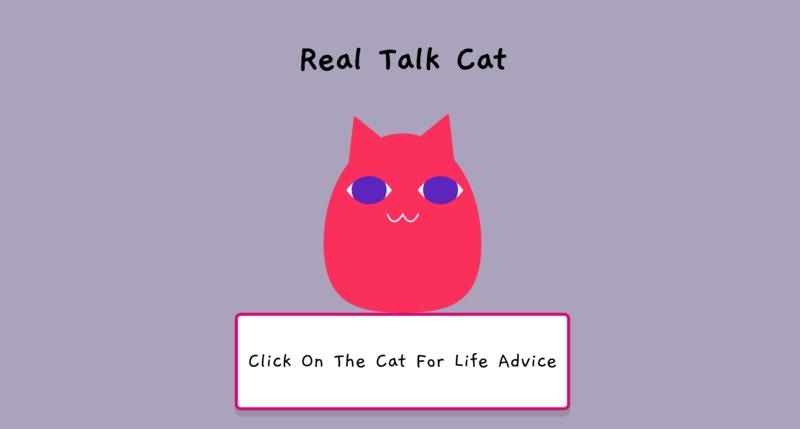 Mobile app for a fictitious cosmetic social network. The profile picture is larger in order for a user to see if the person they are viewing visually has a similar facial complexion. 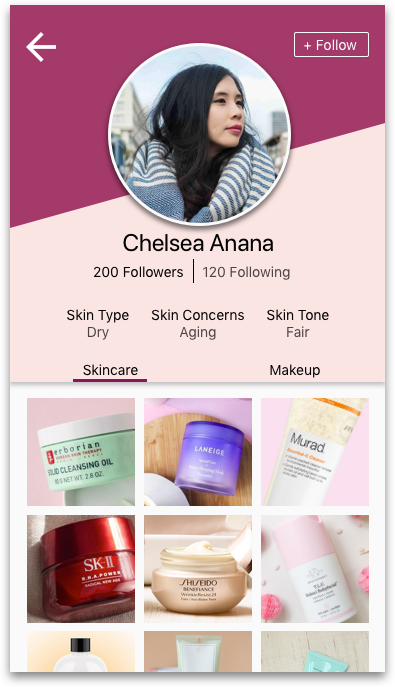 This would influence if they are interested in following the profile and what skincare and makeup products that profile uses. 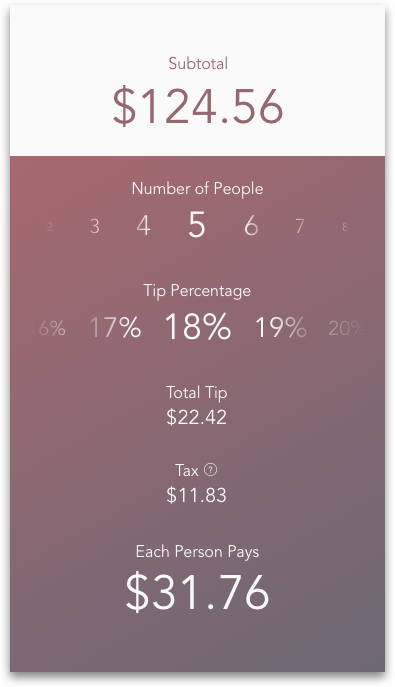 A tip calculator using a sliding function to adjust number of people and tip percentage. Tax would be calculated based on current location. 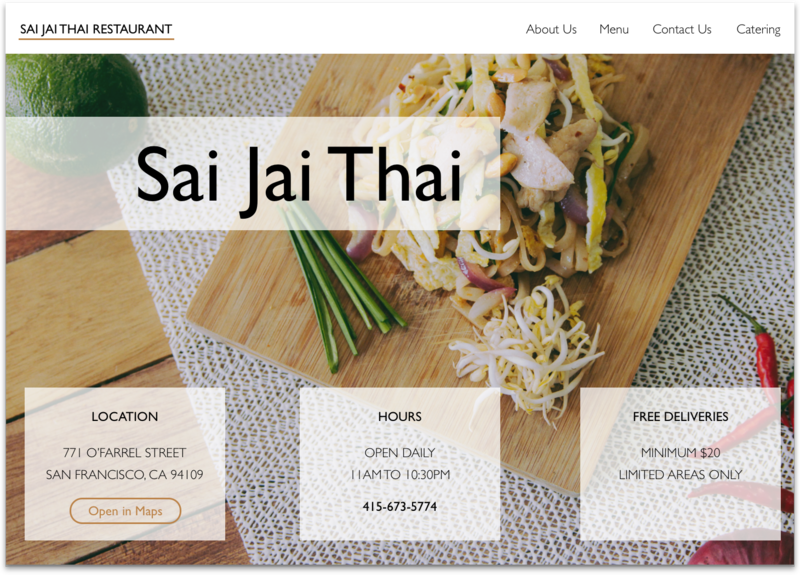 I decided to re-design the landing page of my favorite local Thai restaurant, Sai Jai Thai. Get their pork shoulder fried rice. Their original page (here) took a lot of scrolling before seeing essential information such as business hours and location. I decided to pull that information up front and gave the landing page a lighter atmosphere to reflect the homey experience of eating there. 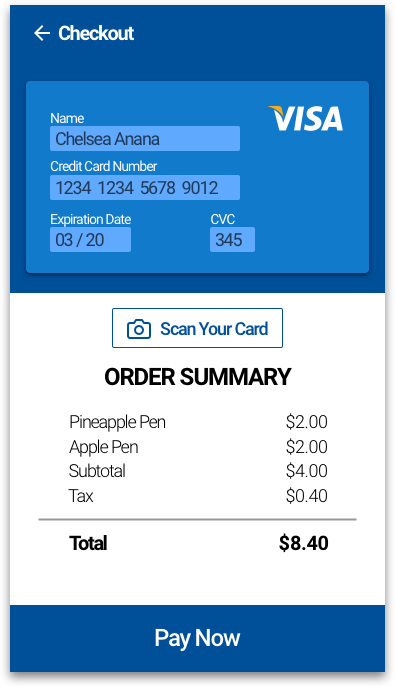 Credit card checkout that lets you tap on the card for manual entry or simply take a picture to input the information. 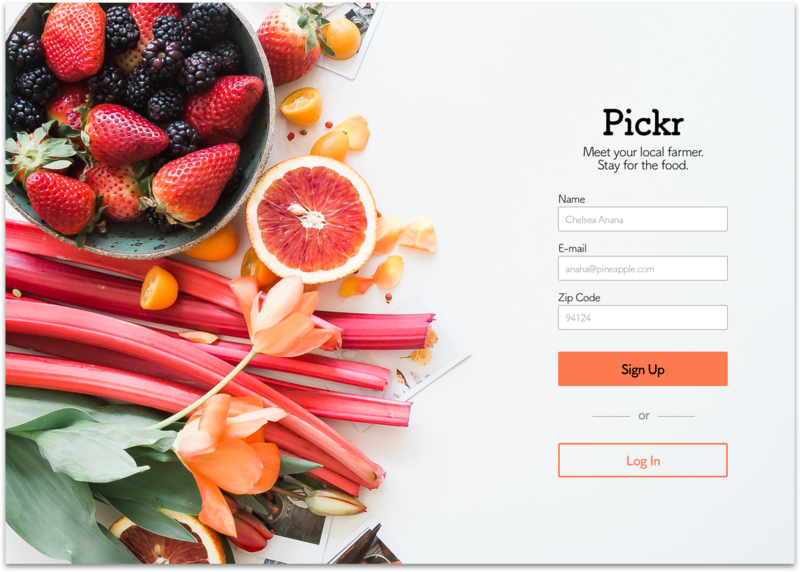 Sign up page for a fictitious service that connects consumers to their local farmers.